The gothness of the black McDonald’s flags in NYC. The fabric shops on 38th Street and all their gaudy, sparkly fabrics. Receiving a New York Times alert about the measles state of emergency in Williamsburg minutes after getting off the train in Williamsburg. How painfully obvious it is that I—scrawny, wide-eyed, Midwestern—am a mark when I’m walking on the street in NYC. The man who picked a pigeon feather off the ground, lovingly inspected it, and then stashed it in his pocket. Getting smoked aioli on my sock. Turning on the hotel TV to find a sequence of a baby bird falling down the face of a cliff and somehow surviving. The faux Ancient Greek landscape in the backdrop of a Catholic TV interview show. How surprising, and heartening, it is to think about the overall relative stability of the world when it’s so easy to make mistakes with far-ish-reaching consequences (and how many people there are to make them). I think about this especially when I’m going to sleep at night and there aren’t any audible signs of bad decision-making or accidents to be heard near me (a basically useless test, but the one I have when I’m falling asleep). I know those things are happening somewhere (and in some places, they happen very often), but it’s a wonder that they aren’t happening everywhere. How satisfying it is to hear (or perform) a well-placed, genuinely needed tambourine in a song. My Apple Watch recognizing drumming as elliptical machine exercise. Changing a light bulb on my car [4-1-19] by myself and feeling like a 1950s everyman for it. Mom’s YouTube vegan vlogger-inspired kimchi soup. Dylan’s second Christian record, Saved (via Dad). Imagining a universe where industrial food processing tools never developed so food factory employees halve almonds with their own teeth, for example, or puree fruit by chewing it. 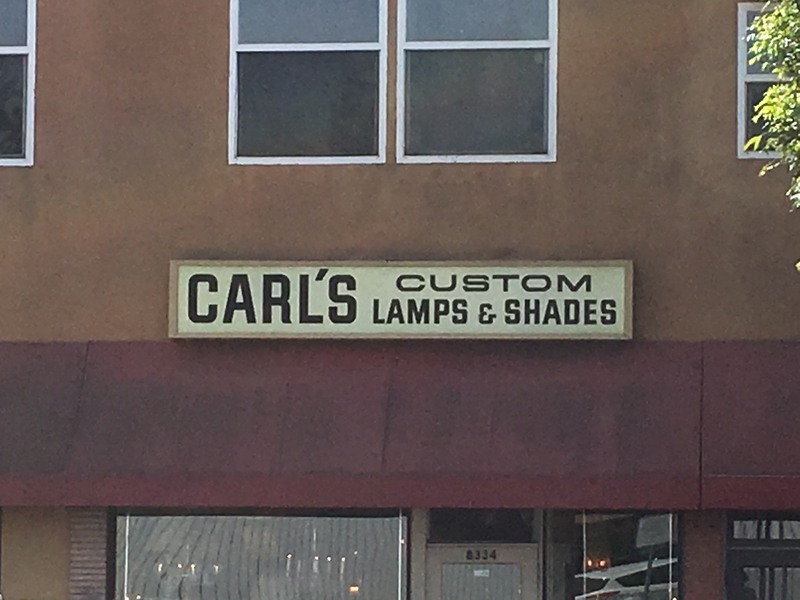 Buying a light bulb for my car and getting talked into buying bulb grease along with it. The boil-ish thing on Basil’s shoulder popping like a big pimple. 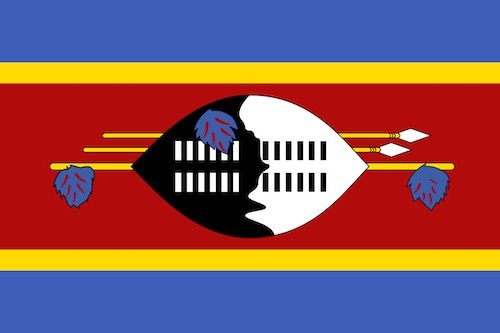 Eswatini’s beautiful flag (via Sammy). Releasing my second EP, Sleep Is My God. The really nice feedback from family and friends and social media strangers. Discovering that I’d never listened to Neil Young’s self-titled record apart from the hits. Listening and loving it (duh) (via Colin). The person on the plane home from LA wearing one of those designer bulletproof vests. The person on the plane with football rings on every finger of his right hand. Sammy and I getting outfitted in Big Bud Press jumpsuits by Mom. Slightly regressing in my jumpsuit because it feels like footsie pajamas. The gaggle of people all wearing leopard-print dresses in our hotel lobby. The cat being walked on a leash. Getting hassled at a bar by an adult Frenchman. The tiny little remote on the ground stuck in the post-winter mud. Walking to Autozone to pick up some car light bulbs I bought online, only to find that I walked to the wrong Autozone. The impending announcement of the Mueller Report tormenting artists with upcoming Friday release dates. Casey’s debut full band show (as Case Oats), at Crown Liquors. Pan Amsterdam rapping about Firefox being better than Chrome [12-17-18]. Resolving not to work on any petty to-do items until the art-making at hand is done. Basil smelling like a french fry. Misunderstandings that are too tiny or inconsequential-seeming to explain in the moment but which can lead to kinda important changes in someone’s perception of you. The kid crossing the street with a whistle in his mouth, as if he was ready to call for help at any second. The Fast Company story about lobbyists using geofenced social media ads to target Trump and Trump aides (via Uncle Bruce). The two massive raccoons on Casey’s back porch. Stopping for avocado maki by myself at 3:30AM. Answering questions from the Chicago Department of Public Health for fifteen minutes about my salmonella [2-25-19]. The miniature wine bottle on the ground outside the senior physical rehab center. Watching Leroy Bach, Dan Bitney, and Ben Lamar Gay perform at California Clipper. They were great. Zaid receiving a medical equipment delivery from the best-named company ever: Why, Inc. Signing up to volunteer on Be My Eyes. Ornette Coleman’s albums with his son, Denardo Coleman, who was ten years old at the time of their first release (via Ridley). Learning that Rufus is a band, not a person, from a Guardian article about Chaka Khan (via Jamie E.). Watching the Bachelor finale (part one) with Mom and Casey. My college diploma arriving in the mail.